Cats and laser beams is the perfect hoodie. We love this print but at the same time can’t take it serious, due to how funny the concept is. 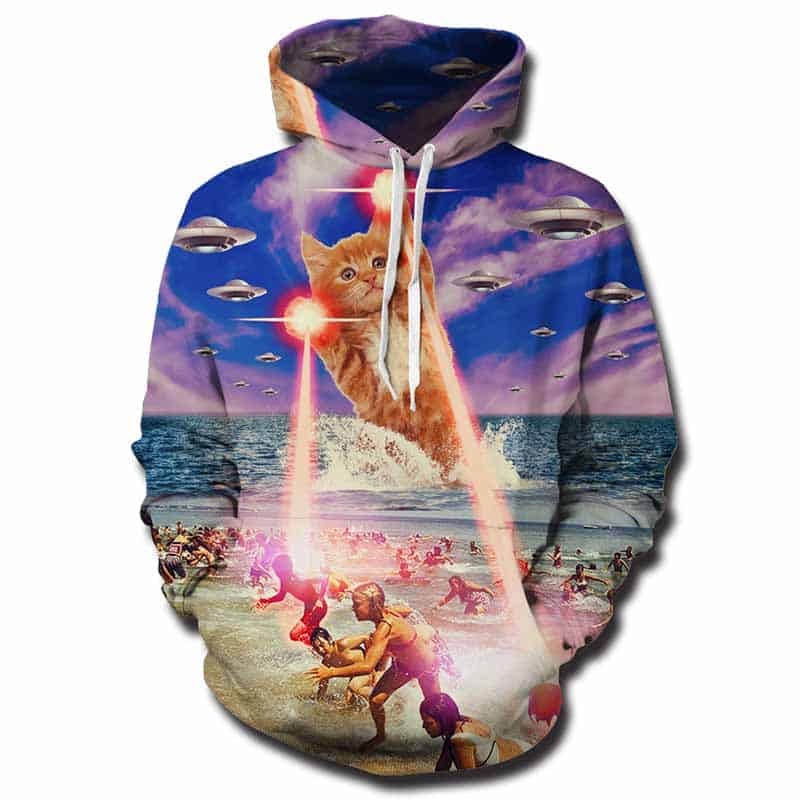 This epic laser beam cat hoodie is a best seller of ours. It features a gigantic cat surrounded by UFOs shooting lasers out of its paws. The hoodie is comfortable to wear, looks fashionable and is wearable anywhere. It was designed for both male and female.